Preschool Glastonbury: Your Children Will Learn About The Seasons Here! 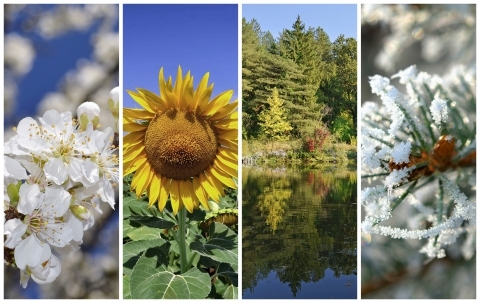 With seasons changing, there is a lot happening within our environment. 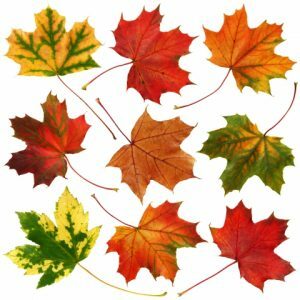 The weather is getting cooler, the leaves are changing colors, and your children are probably wondering “what’s going on?” Foundation For Learning in Glastonbury, South Windsor, Milldale, and Southington take pride in teaching your children all about what’s going on when the seasons change. Currently, our curriculum is focused on the fall season. We are teaching your children keywords pertaining to fall, letting them learn about farm life, and all about Thanksgiving. We also will be teaching them about different animals within the farm life, and the plant life cycle. We feel this knowledge is important for your kids and here are some other things we think would be fun for you to bond doing at home! Something fun you can do during this time of year is going to a pumpkin patch or take a nice walk through wooded areas. You can show your child how the leaves are changing and possibly explain why. You should do this during every season change though by exploring the main elements that differentiate each of them. Scrapbooking is a great way to bond, learn, and make memories together. You can take photos of the activities you do outside or preserve something from that time frame by drying and pressing a colorful leaf or a pretty flower. Then you will be able to look back at it every year and your child will get excited about each season change, and since we live in Connecticut, we experience them all! For bedtime stories or whatever time of the day really, you can read to your children about different seasons. You can do these through fiction books and pick ones that display seasons, like Beauty and the Beast. Or you can even take elements of nonfiction, like how certain animals migrate to warmer climates and read to them about that process. There are lots of ways to incorporate the seasons into your play and bonding time with your children. Our preschool finds it very beneficial and fun for our children to learn all about the seasons as they change. Foundations For Learning is a great resource for your children to learn and grow in. Always focusing on what’ best for them at all times. So go out and find a pumpkin, and crunch some leaves, before it’s too late!